Wall Stickers Super Mario Bros.
Why not fill it with some of our exclusive Giant Wall Stickers ? 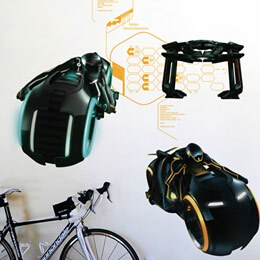 Old school or 3D, we have a version for every TRON fan. If you prefer the classic artwork from the 1982 original version of TRON, no problem, we have the Grid, MCP and Lightcycles to go. If you are more into Tron:Heritage the new high-tech 3D adventure version, we also have a stunning version of the LightCycles. A must have for all geeks, digital nerds and sci-fi fans. About Us | Satisfaction guaranteed | Secure Payments | Shipping & Tracking | Customer Service | Terms & Conditions | How to Stick! 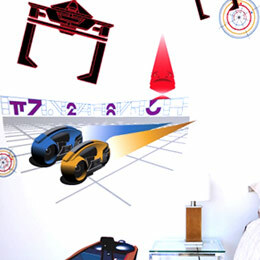 Design, PopArt, kids and video game giant wall stickers, exclusively imported from the USA. 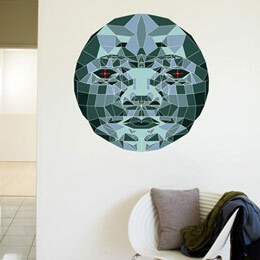 Stickboutik.com | The giant wall sticker store for original and exclusive designs to dress-up bare walls! Also discover our range of Geek, Gaming & Video games gadgets & accessories, for the perfect Geek gift.